My Favorite Cleaning Products and a Giveaway! Remember when I told you all about my kiddos giving me the Gift of Clean for Mother’s Day? Oh my goodness, let me just say…BEST GIFT EVER! It all started with a gift basket that Scotch-Brite sent me…they challenged my kiddos to give me a break on Mother’s Day and clean our home. Well, it sparked a new thing here in the our home…my kids now help out around the house on a regular basis…whoop! I could sit here and tell you all about how wonderful it is, but what I really want to do is tell you about my favorite cleaning products! These are a couple of the products that came in the original basket from Scotch-Brite that I am totally in love with…the ones that make my life and well, cleaning just a tad bit more enjoyable. First…the Scotch-Brite Disposable Toilet Scrubber! OH MY GOODNESS…I have hated cleaning toilets my entire adult life. I mean, who doesn’t? With this baby, it seams so quick and easy that I no longer have to dread it! 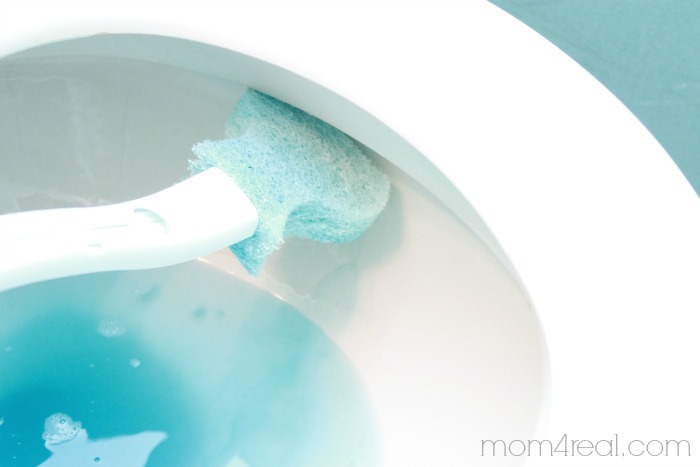 You simply pop the disposable scrubber on the wand and wipe it around the edge of your toilet, then toss it! No more squeezing some kind of harsh cleanser around the toilet, waiting for it to soak, then having to put your hands in there and scrub…yuck. It’s easy and takes a few seconds, then I’m done! Second…the Stay Clean Dishwand! I simply fill it with dish soap one time, then grab it and scrub my dishes or sink on a whim with one step! Not a ton to say here…it just makes life easier which makes mamma happy! I could keep going. 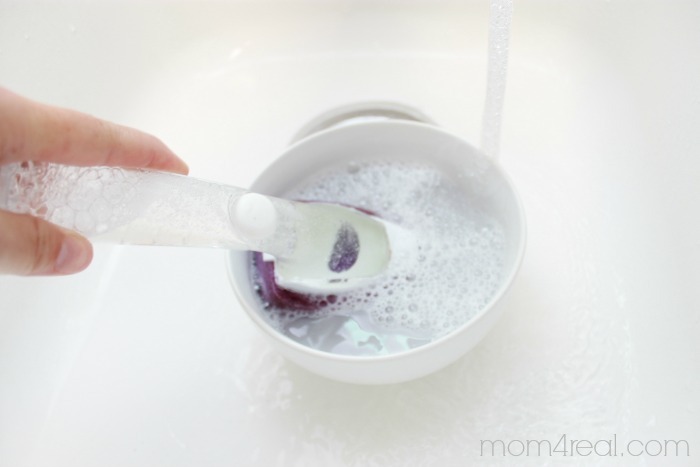 I love the microfiber cloths and the sponges too…they just make my job…or my kiddo’s job so much easier. Bonus, they are cute too! So…onto the giveaway! 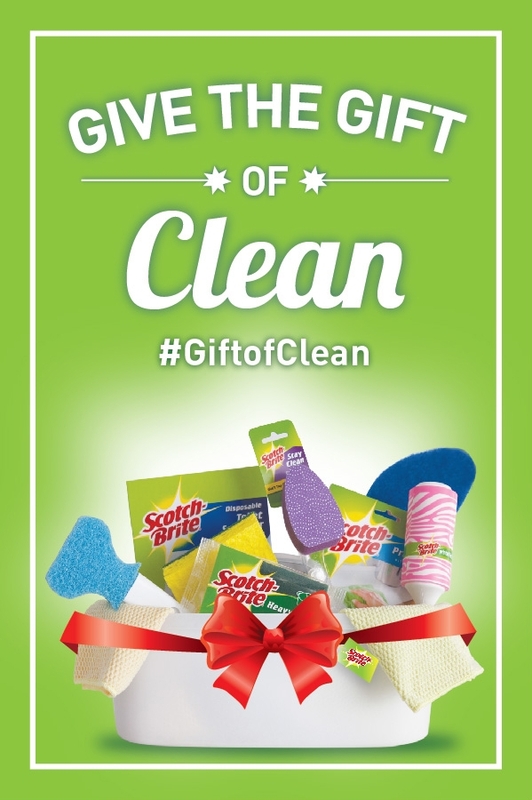 Scotch-Brite wants to give one of you the Gift of Clean too! They are going to send one of my lucky readers the same cleaning caddy that they sent me! All you have to do is follow is use the rafflecopter widget below to enter the contest! Good luck, and happy cleaning! Thank you for the giveaway offer! Would love to try some new products!